The book of Joshua is often troubling -- what should we make of the fact that the violent occupation of land is not simply presented, but celebrated? How can we reconcile that with the key role the book plays in the biblical drama of salvation? What should we make of the God of Joshua? 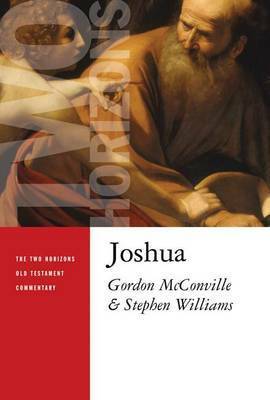 / In this volume Gordon McConville and Stephen Williams interpret Joshua in relation to Christian theology, addressing such questions and placing the book in its proper place in the canonical whole. McConville deals specifically with the commentary and exegesis of the text. Williams then moves in to focus on issues of interpretation. He addresses key theological themes, such as land, covenant, law, miracle, judgment (with the problem of genocide), and idolatry. / The authors posit that the theological topics engaged in Joshua are not limited to the horizons of the author and first readers of the book, but that Joshua is part of a much larger testimony which concerns readers yet today.